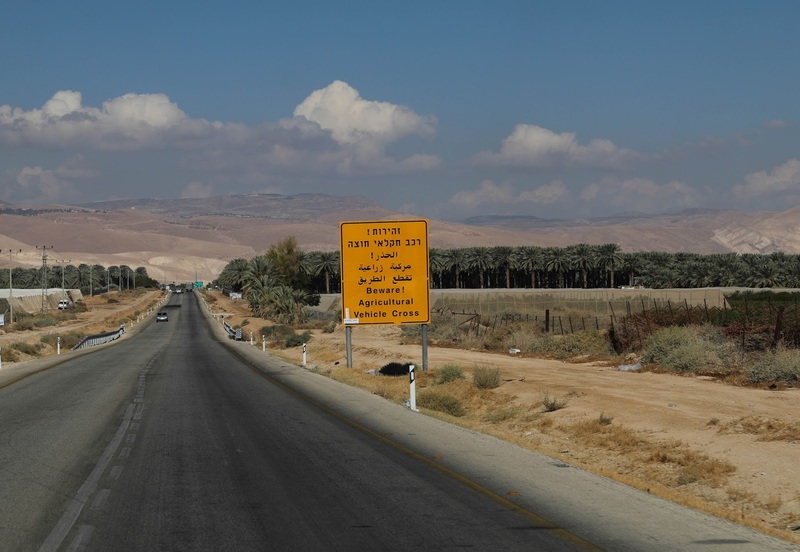 The army has ordered some 300 Palestinians who have lived for decades in the northern Jordan Valley to remove all their property from the area — which they’re interpreting as an evacuation and house-demolition order. But judging from the army’s response to Haaretz, it has modified its position following an objection filed by the residents’ lawyer. The order was not handed to any of the affected Palestinians. Instead, on Thursday morning soldiers simply left it on the road near their houses, which are located near the village of Al-Maleh. The notice, dated November 1, was signed by the commander of the Israel Defense Forces in the West Bank, Maj. Gen. Roni Numa. Officially known as a “declaration of delimited land,” it bars anyone from entering the specified area for purposes of construction and mandates the removal of all property from that area within eight days of the day the notice was posted. The order does not specify how many people will be evicted or give their names. But judging by the accompanying map, it applies to an area of about 550 dunams (136 acres) in which some 300 Palestinians live in two herding communities, Ein al-Hilweh and Umm Jamal. Both villages are within the jurisdiction of the Al-Maleh rural council. The herders are raising some 4,000 sheep, 200 camels and 600 cows. All the land in question is either privately owned by Palestinians or owned by the Catholic Church. The “order regarding unauthorized buildings,” on which the eviction notice is based, states in paragraph 6(b) that it does not apply to “anyone registered in the area’s population registry,” meaning Palestinian residents of the West Bank. Therefore, attorney Tawfique Jabareen of Umm al-Fahm, who is representing the residents, argues that the eviction notice has no legal validity and is null and void. That is the essence of the objection he submitted to the military commander via the latter’s legal adviser Saturday morning. Jabareen also said the order had not been delivered to the affected residents, but was simply left in the area eight days after it was signed. “Prima facie, this was an action in bad faith, behind which lies an intent to deny the Palestinian residents their right to a hearing or to submit objections against either the order or the declaration,” he wrote. COGAT, however, did not state where the people who live at the site would go if the structures were demolished. It also did not answer Haaretz’s question on how many people the orders would affect. Residents of Ein al-Hilweh said Friday that about two weeks ago, soldiers came to their huts and demanded to see their ID cards, without offering any explanation. The soldiers also used a drone to take aerial photographs of their communities. Making lists of ID cards and taking photographs are steps that often precede evictions and demolitions by the IDF and its Civil Administration in the West Bank, though residents said they did not see any Civil Administration staffers this time. Nabil Daragmeh told Haaretz that last Thursday he saw soldiers putting something under a rock on the road in front of the hill where he lives. He also saw them photographing whatever it was they had left by the road. After they had gone, he went to see what it was. He found one Hebrew-language order that was signed and dated, another Hebrew-language order that was neither signed nor dated, and a third order in Arabic that was also neither signed nor dated. He immediately told the other residents, who were frightened and confused. 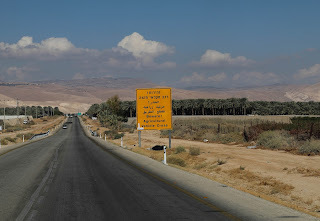 These herding communities have been in the area for decades, but Israel does not allow them to connect to infrastructure or add new homes and public buildings to keep up with their growing population and changing needs. Israel has also used its control over the Palestinian population registry to prevent the Palestinian Authority from listing the herders’ villages in the residence line of their IDF cards. Instead, it insists that their hometown be listed as Bardala, Ein al-Beida or some other village. In 2008, in an effort to alleviate the residents’ housing shortage, the UN Food and Agriculture Organization built metal shelters for them, paid for by Japan. In his letter to the military commander, Jabareen wrote that Japan and the United Nations would not have built those shelters without the Civil Administration’s permission, and such permission was indeed granted. But later he said the administration retracted its consent. 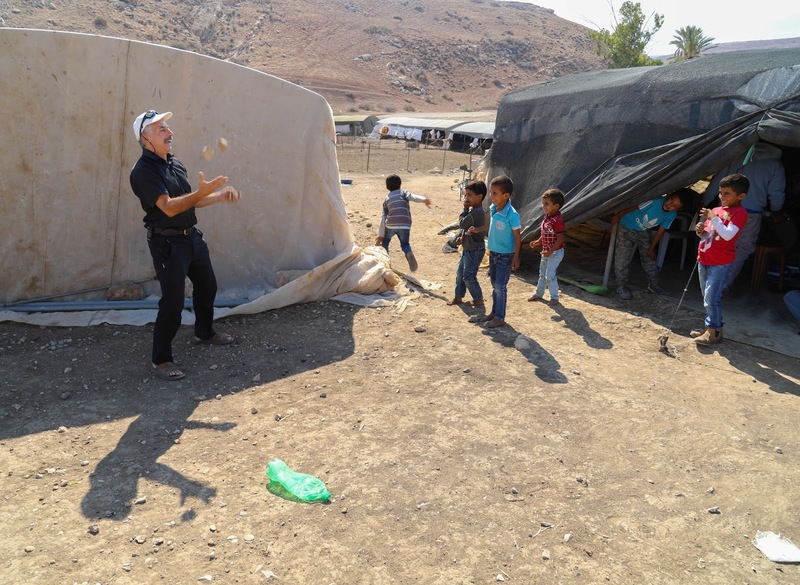 “In recent years, a number of families have repeatedly built illegally in the area. Any person who feels he is a victim of the order can turn to the authorities within an eight-day time frame,” COGAT added. 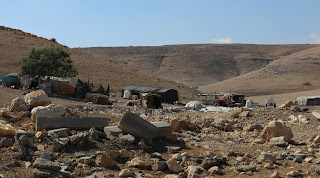 On a hill to the east of the area slated for eviction sits the settlement of Maskiot. In 2005, it received an influx of settlers who had been evicted from the Gaza Strip. Over the last two years, two settlement outposts have also sprung up, one north and the other south of Ein al-Hilweh. The Civil Administration has issued stop-work orders against the outposts, but they still continue to expand. One of the outposts is an offshoot of another illegal outpost in the process of being legalized – Givat Salit. The second is located in the Umm Zuka nature reserve. Both outposts raise sheep and cows, and according to local Palestinians and activists from the Ta’ayush and MachsomWatch organizations, herders from the outposts often prevent the Palestinians from grazing their flocks. In 2011, one resident of Ein al-Hilweh was forced to move his tent because of repeated harassment by the settlers. Ein al-Hilweh and Umm Jamal aren’t unique. Over the past few months, the IDF and the Civil Administration have also taken steps toward evicting three other Palestinian communities in the northern Jordan Valley – Khalat Makhoul, Al-Farisiya (which is home to about 150 people) and Khumsa.